Algae supplements seem to be the “next” big thing among supplements. Chlorella is a nutritious algae that grows in fresh water and is said to contain the largest amount of chlorophyll found in any plant and food. Chlorella supplements contain protein, vitamins, minerals, fiber and Omega 3’s. Chlorella has many benefits for your overall health from the inside out. Available in tablet, capsule, powder and extract form, you may be wondering what the best Chlorella supplement brand is. First, here is a look at why Chlorella is gaining so much attention. Chlorella is said to contain a balanced amount of nutrients, proteins, and vitamins, so Chlorella supplements are believed to have a host of health benefits. Promote Cardiovascular health- Chlorella is believed to improve cardiovascular health, help you keep normal blood pressure and reduce inflammation in the body all problems that can lead to heart disease. While there is no guarantee that people who take chlorella supplements won’t contact any type of heart disease, it may decrease your chances and help keep you healthier longer. May help with Diabetes- Chlorella supplements are believed to help reduce blood glucose levels and that combined with Chlorella’s ability to reduce inflammation may help to reduce your chances of developing diabetes. Has detoxifying properties- It is also believed to remove toxins from your body by binding to them and helping to flush the toxins out, which can help keep your liver healthy naturally. Enhances your immune system- Chlorella is also said to strengthen the immune system which may result in a number of various health benefits including fewer colds, fewer acne breakouts, and a number of other health problems both large and small. Chlorella supplements and beauty products are also good for your skin and hair. Whether ingested or applied topically, chlorella can really improve the condition of both your skin and hair. 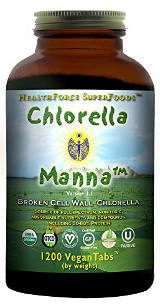 Chlorella is a good source of MSM which results in leaving your hair shinier and feeling silkier. In addition, it stimulates keratin, which will help your hair grow longer and thicker while also preventing hair loss. You can take Chlorella supplements for your overall health and get the added benefit of healthier hair or you can purchase shampoos and other hair care products and treat your hair topically to get the hair care benefits. Chlorella supplements have many benefits for your skin since they are packed with vitamins and minerals that are beneficial for the skin such as vitamins A and B-Complex. Chlorella is good for fighting free radicals in the body and therefore providing you with some anti-aging skin care benefits. As a rich source of vitamin A, it can help in skin regeneration which contributes to your overall skin health. 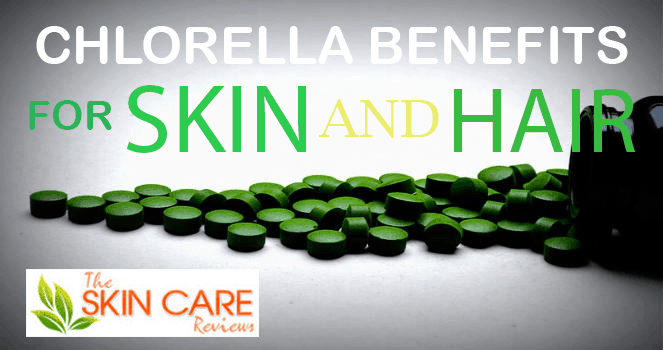 Chlorella stimulates collagen production which is what gives your skin elasticity and contributes to tightening skin. It can also help reduce the appearance of fine lines and wrinkles slowing the signs of aging and leaving your skin looking younger and overall healthier. Would you like to become super creative with Chlorella when it comes to your skincare? Mix Chlorella powder with a bit of water and use it as a detoxifying skin care mask! You can also add a couple of drops of your favorite moisturizing oil such as argan oil, rosehip oil or any other oil you prefer. Many people who consider taking Chlorella supplements for their health often ask whether it is better to ingest Chlorella in powder form or take chlorella pills. While both will give you the same benefits, the pills may be the better choice for most people for a couple of reasons. First is convenience. Since taking chlorella supplements in powder form means that you need to mix the chlorella with water, juice, or in baked goods, it takes a little bit of prep time whereas, with the pills, you simply take them with a swallow of water. In addition, Chlorella powder is not known for its pleasant taste. Many people find that they actually can’t force themselves to ingest chlorella in powder form no matter how it is prepared. When it comes to Chlorella pills, on the other hand, you don’t have to taste since you simply quickly swallow the pills with water and don’t have it lingering in your mouth. Is Chlorella Good for Weight Loss? Chlorella supplements may help people reach their weight loss goals. Due to the fact that chlorella is so nutrient-rich, it may actually reduce hunger cravings and the urge to fill up on those high-calorie carbohydrates. In addition, this supplement may also help to balance blood glucose levels, which can help you to lose or at least maintain weight. Perhaps the most important weight loss benefit is that it may actually block the production of fat cells. Do keep in mind, though, that Chlorella supplements need to be part of an overall weight loss plan and should not be expected to result in weight loss on its own. Always remember that you should not take Chlorella or any other supplements without first speaking to your medical professional. In order to find a top quality Chlorella supplement, you need to take into consideration various factors such as where the algae is created and how it is produced as well as how clean it is. Being free from fillers and synthetic ingredients is another important feature to consider. 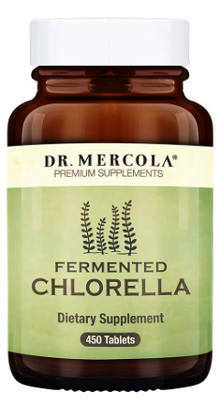 It is fermented which allows for a better digestibility when compared to regular Chlorella. Created indoors in a sterilized environment that is free from pollutants and other environmental contaminants. Pure clean Chlorella that does not contain any fillers or preservatives. Third party tested for heavy metals. Finally, these are easy to swallow Chlorella tablets and they are available at a very good price. The broken cell walls of Chlorella guarantee superior absorption and digestibility. Lab-tested product for heavy metals, botanical identity, and microbiological activity. Free from fillers, binders and other synthetic ingredients. Produced in a facility in the U.S that is certified organic and FDA registered. This product contains 1.200 Chlorella capsules and, according to the buyers, it is one of the best chlorella supplements regarding the taste and quality. All in all, choosing the best Chlorella Supplement brand should provide you with the best health results you need to enjoy from adding this great supplement to your diet.